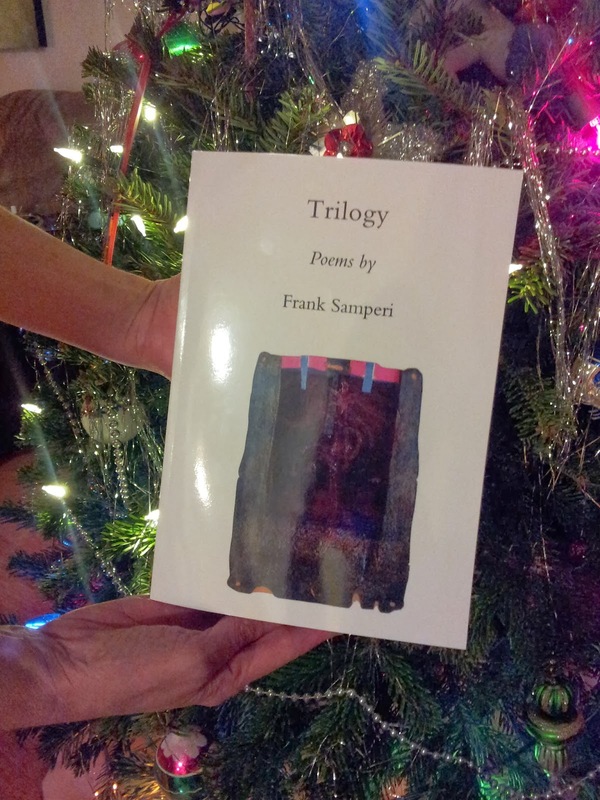 Skysill Press http://skysillpress.blogspot.com/ and you can now have your copy of these beautiful poems by Frank Samperi. Thank you to Sam Ward at Skysill Press for making this book possible. A poet friend in Scotland awakened me to the poetry of Frank Samperi. I bought Prefiguration soon after he first mentioned him to me. A few months ago, I added Trilogy to my collection. It is a book rich in imagery and endless journeys. Samperi manages to convey so much in a few works and breathes life into what most people would not even notice. I consider him to be one of my great poetry discoveries in recent years. I cannot recommend Trilogy highly enough. Thank you very much for your comment on my father's poetry and the Trilogy edition. It is readers like you that keep his name alive and continue to put forth the work for the future. I continue to seek ways to publish more of his poetry. Claudia, my question is about you personally. Have you ever done any artwork? I have a work of art that I got from my Grandmother with the Claudia Samperi written on the back. Nice to meet you. Send me a pic of the art work as Yes I painted in my younger days - you can send it to samperinyc@gmail.com - I did not sell many pieces so it may just be someone else but that is so great - look forward to seeing the piece.